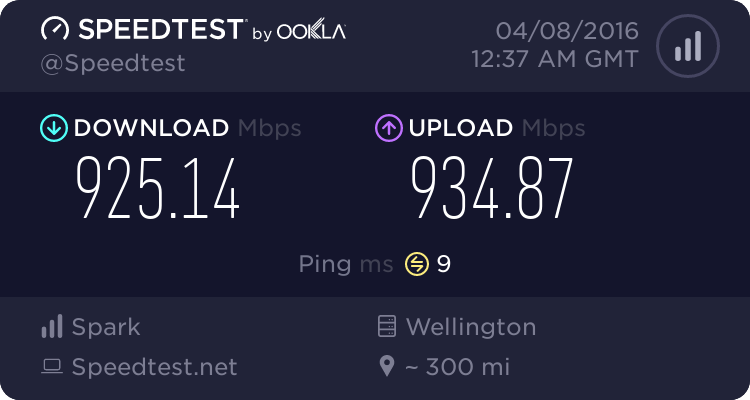 I am happy that Taupo has 100% UFB coverage. I just wonder how come the capital doesn't. Communications Minister Amy Adams says the completion of the Ultra-Fast Broadband (UFB) build in Taupō means nearly 13,000 houses, businesses, schools and health facilities now have access to world-class fibre. “UFB provides communities with the ICT skills they need to grow and innovate. Businesses with a high internet use have double the growth, exports and job creation rates compared to companies with a low web presence,” Ms Adams says. Together, the Government and Chorus have invested more than $23 million to deliver UFB to Taupō. Ms Adams said at only four per cent, uptake in Taupō had been slower than other areas but expected this would pick up. Eleven schools and around 1400 businesses in Taupo now have access to fast internet facilities. “It’s important our classrooms are part of the digital world. Kiwi kids and schools are really benefiting from ultra-fast broadband. Students are more engaged and are able to easily source and store information online,” Ms Adams says. Because Taupo is smaller, so at the same rate of houses passed a day, it takes less time to pass all of them. Whanganui's UFB network is done, too. Yes, I gather that. Surprising they schedule the same rate for everywhere instead of accelerating where there's higher density - AKL, WLG, CHC. I see that Timaru is only one cabinet away from 100% completion. On the other hand, small towns like Feilding are not even half complete yet. deadlyllama: Because Taupo is smaller, so at the same rate of houses passed a day, it takes less time to pass all of them. freitasm: Yes, I gather that. Surprising they schedule the same rate for everywhere instead of accelerating where there's higher density - AKL, WLG, CHC. DarthKermit: I see that Timaru is only one cabinet away from 100% completion. Where are you seeing this data? Is there an up to date list somewhere? I thought that Ashburton was finished last year too. BarTender: I thought that Ashburton was finished last year too. freitasm: ... Surprising they schedule the same rate for everywhere instead of accelerating where there's higher density - AKL, WLG, CHC. According to Chorus, as at 31 Dec 2014, Auckland was 25% complete and Wellington was 30% complete. Christchurch was not listed as it is not a Chorus area.